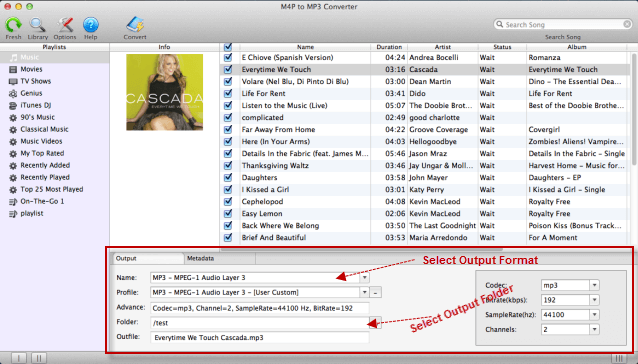 How to convert M4P to MP3 on Mac with iTunes M4P Converter for Mac? 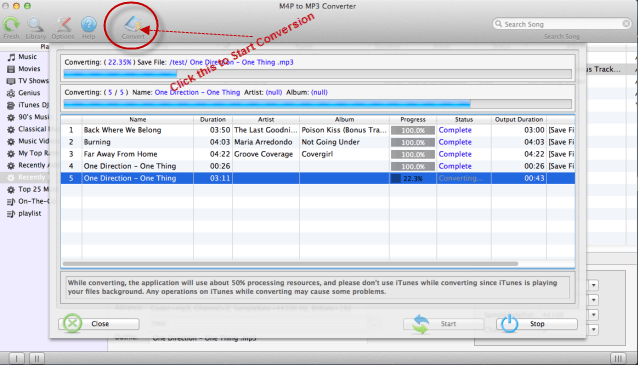 How to Convert M4P to MP3 with iTunes M4P to MP3 Converter for Mac? If you're looking to be able to convert your M4P to MP3, then the instructions below demonstrate how straightforward this process can be. 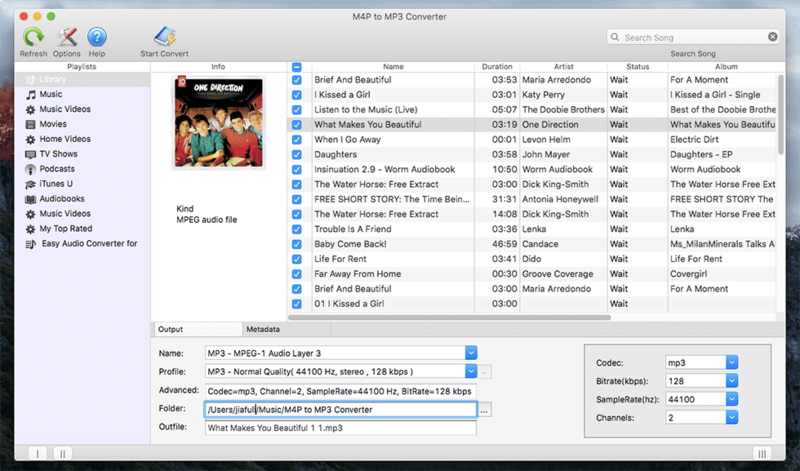 Using the M4P to MP3 Converter for Mac, just needs several clicks to complete the conversion. Take a look below for step-by-step instructions on the entire conversion process. 1. 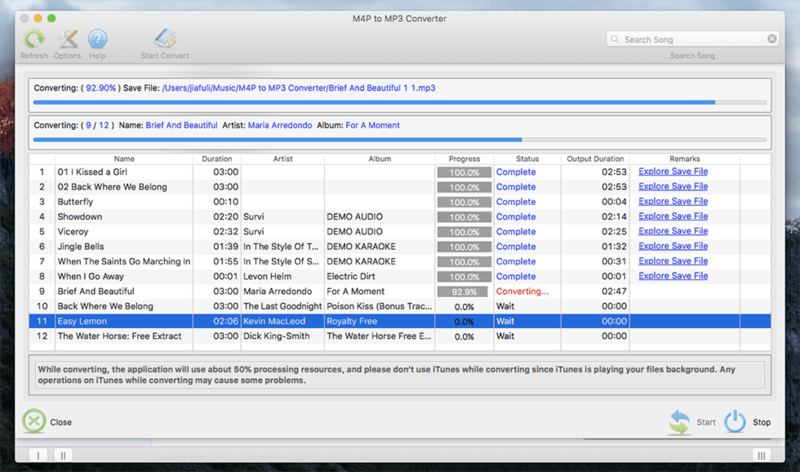 Launch M4P to MP3 Converter for Mac and your iTunes will be launched automatically. you will see the below interface. 2. Click the iTunes Playlists category and select music you want to convert in the file list. 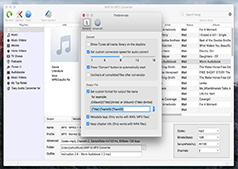 You may select several playlists or multiple audio files or entire albums to batch convert the iTunes music to save more time instead of waiting for one-by-one conversion. 3. Select output format and destination folder (optional) in the bottom of the main window. The profile settings will be adjusted automatically according to the chosen output audio format. You can also set your own parameters. 4. Start Conversion. 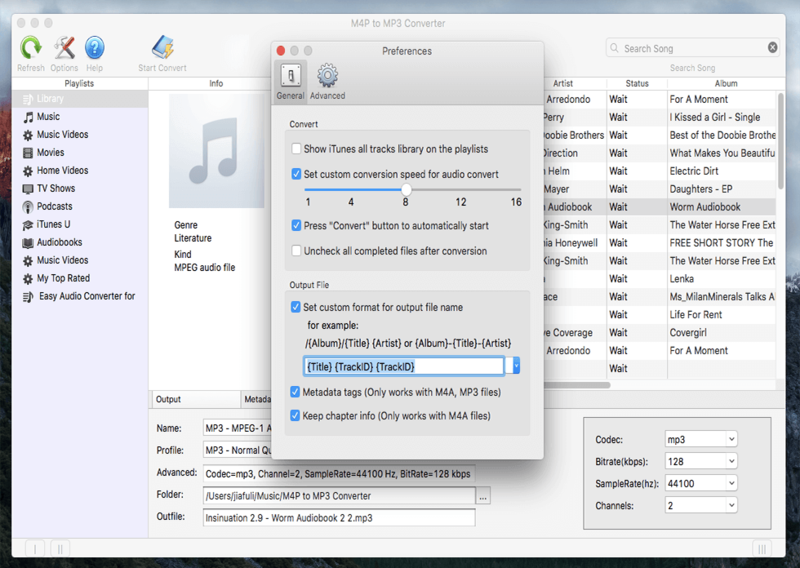 After finishing all the settings, Click "Convert" Icon and begin to convert iTunes music on Mac OS X. When the conversion is finished, you can play the converted unprotected music in iTunes, or play on non-Apple portable devices such as Creative zen, iRiver, PSP, HTC, Samsung, BlackBerry, and android tablets, etc.